"Recently, I have bought a new iPhone, but I really don't know how to transfer messages from old to the new iPhone, who can tell me?" With the speed-up upgrade of iPhones, many people are willing to switch a new iPhone. In such occasion, you certainly have the need to move data from your old device, like messages that keep important information. There are many people troubled in such problems above. 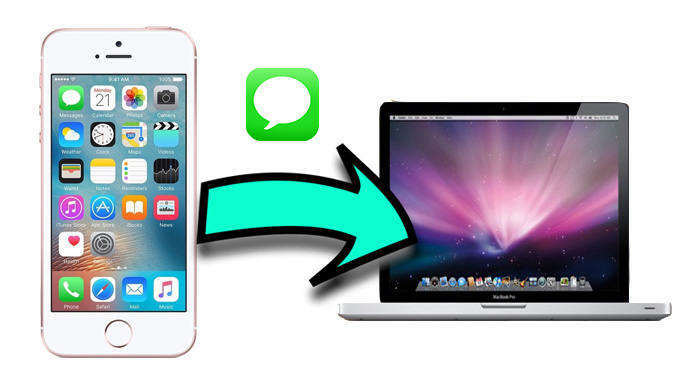 Today, I will give you 3 ways to help you transfer messages from iPhone to iPhone. Part 1: How to Transfer Messages from iPhone to iPhone without iTunes or iCloud? Part 2: Can I Transfer Messages from One iPhone to Another with iTunes Backup? Part 3: How do I Can Transfer Messages from the Old iPhone to a New iPhone with iCloud? 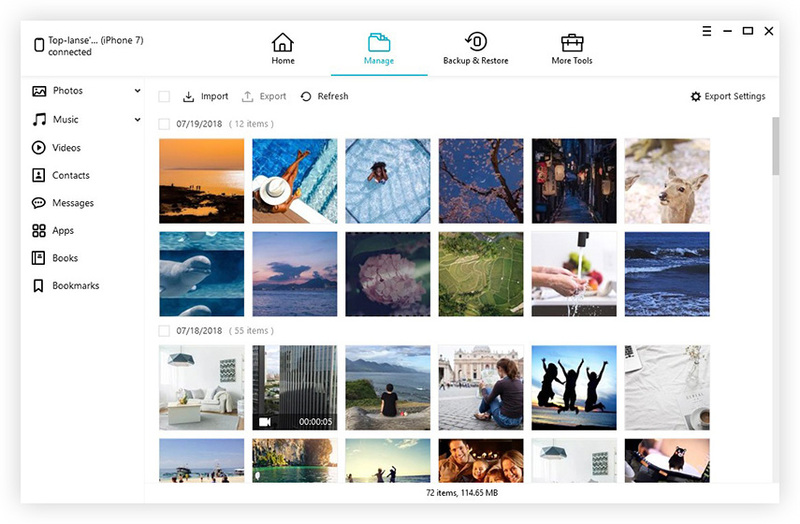 If you are looking for an easy and simple method to transfer messages without iCloud and iTunes, I think the product--Tenorshare Phone to Phone Transfer is the best choice for you, it can transfer your files selectively and safely in a simple click with no limitations. Step 1: Launch the software on your computer, and connect at least two devices to computer via USB cable. One device will be detected as the source device, and the other one will be the destination device. Then click 'Next' button. Step 2: The APP will analyze the contents in the source iPhone, and list the capacity usage in the destination iPhone. Step 3: You can check "Select All" or choose files selectively on the basis of your demand. It will display the total data size you've selected and how much capacity it will take up in your destination iPhone. Click "Start Transfer" to start transferring full contents to new iPhone. Step 4: Now it gets started to transfer contents from one iPhone to the other. The whole process takes few time which depends on data size. Please don't disconnect either device to avoid unexpected error. Step 1: Connect your source iPhone to your system and launch iTunes. Step 2: Select the device and go to its Summary page. Step 3: Under the Backups section, click on the "Backup Now" button to take a complete backup of your phone. Make sure that you are taking a backup on the computer instead of iCloud. Step 4. After taking a backup of your device, disconnect it and connect the target phone to the system. Step 1: Backup one iPhone with iCloud. Go to Settings > Tap your account > iCloud > iCloud Backup > Turn on iCloud Backup if it is not, and then click Back Up Now. It will start backing up your iPhone. Step 2: Set up another iPhone of yours > Choose Restore from iCloud Backup > Sign in your iCloud and select the recent backup to restore. Step 3: Please note that if your iPhone has been set up, you need to reset it firstly, and then set it up again before taking this method. However, there are a couple of things you should know before getting down to the detailed steps. 1. Transferring messages from iPhone to iPhone via iCloud is quite complicated. You have to create an iCloud backup of your old iPhone first then restore the new iPhone with the iCloud backup, which might be a huge burden for people who are new to iCloud. 2. Transferring messages from iPhone to iPhone highly depends on Wi-Fi connection. If your iPhones are under poor Wi-Fi connection, the transferring process may be quite time-consuming, or worse, the transferring process gets interrupted. 3. iCloud restoring process involves erasing all exist contents from your new iPhone. That's to say, if there are some data on your new iPhone, data loss will occur during the transferring process. 4. Besides messages, all other unwanted contents like contacts, settings will also be transferred to your new iPhone. 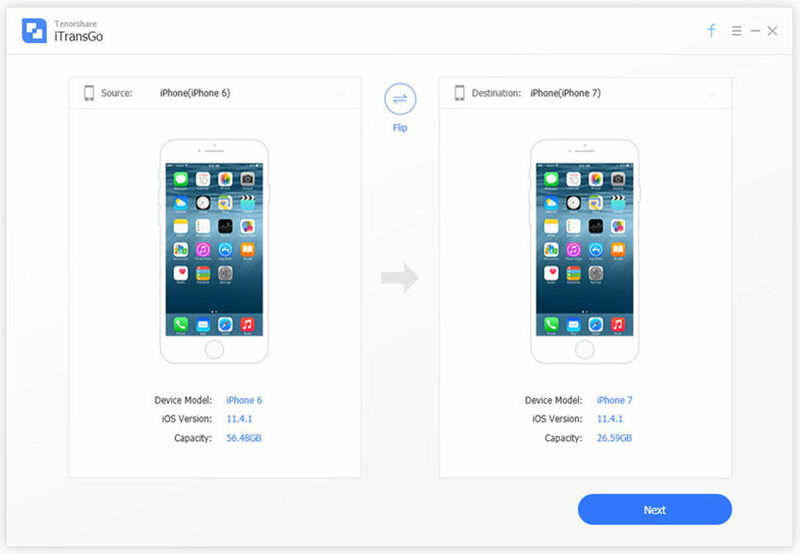 When we do a comparison between above 3 methods, we can find that method 1 is the best choice for us to transfer message from iPhone to iPhone for its simplicity and security. If you have the need in data transfer between iDevices, choose Tenorshare Phone to Phone Transfer.